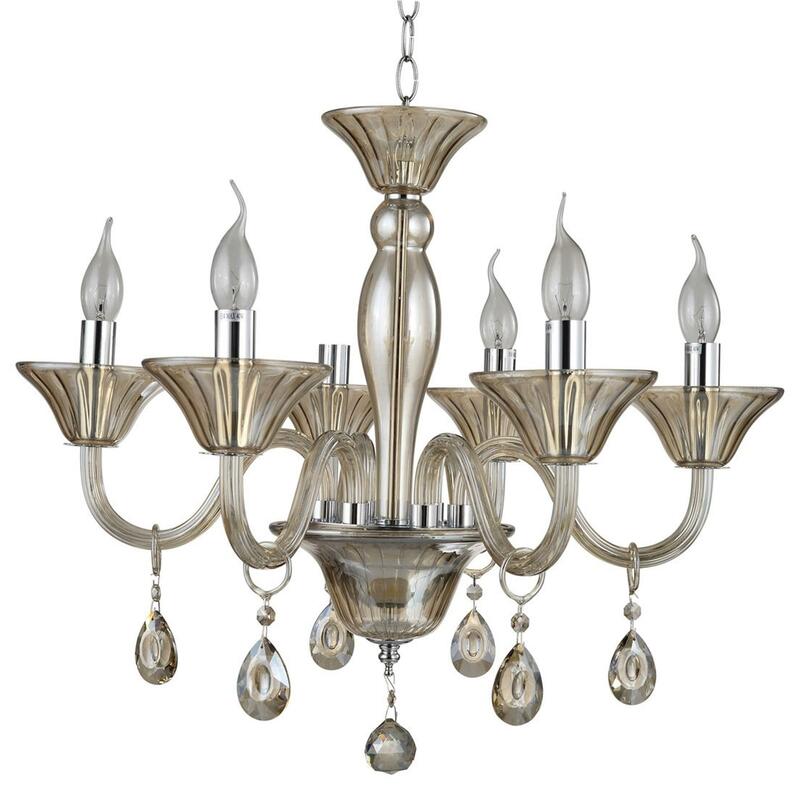 Make your living room feel a lot more furnished by introducing this gorgeous Antique French Style Murano 6 Bulb Chandelier. This chandelier has a very unique design which perfectly combines an elegant and homely style, piecing together to create a very warming and stylish focal point. The cognac colour on this piece adds to the inviting design.